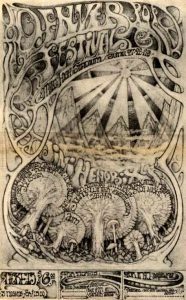 The Denver Pop Festival is the eleventh rock festival of 1969. It was held at at Mile High Stadium [insert joke here]. Holding such an event inside a big stadium seemed like a perfect match. Bathrooms, food services, seating, controlled exit and entry are already present and do not have to be independently set up. Unfortunately for the Denver festival, that amount of control was part of its problem. 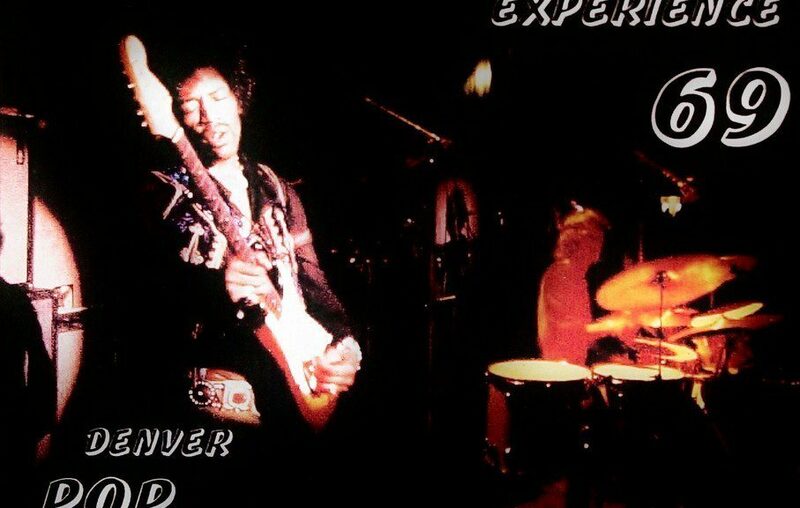 Another little known part of its history was that the Denver Pop Festival was the last performance by the Jimi Hendrix Experience, less than three years after its formation in the UK in September 1966. And Woodstock fans may be disappointed to hear that Hendrix played the Star Spangled Banner, that the Woodstock Music and Art Fair was not his first public performance of that cover. Barry Fey promoted the concert. While his name may not be recognized by many as a Bill Graham is, Fey had a long illustrious history of rock concert promotion. 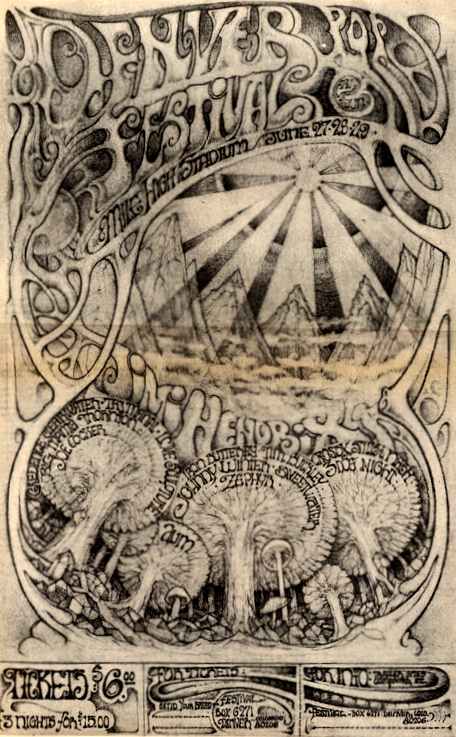 In fact, he promoted the first Led Zeppelin concert in the US: December 26, 1968 at the Denver Auditorium Area. 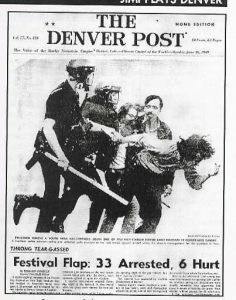 The Denver festival, unlike Woodstock’s legal challenges and trying to find a home accepted by the locals, had the support of the city government. Denver provided a campground, services there, as well as a shuttle service to and from the festival. Like Woodstock’s impeccable sound system, Bill Hanley was the sound man. Like Woodstock, Chip Monck was an MC. So why wasn’t the Denver Pop Festival another Woodstock? Looking at its line up it certainly had that potential. Once again it is a combination of factors. The number of attendees plays a part. The Mile High Stadium accommodated approximately 50,000 people. Certainly an acceptably large amount, but no comparison to a 40-acre Max Yasgur field with 400,000. Not filming or recording the event is another factor. The only recording I could find on YouTube was an audience one of Big Mama Thorton. She wrote “Ball and Chain” and as good as the famous Janis Joplin cover is, it’s nice to hear Thorton herself. Part of Woodstock’s mission was to keep law enforcement away from the festival site. NYC cops were hired to moonlight, but only those who had a conciliatory attitude toward the Woodstock generation youth were hired. NY State Police were present on the periphery. In Denver the local police were outside and around the stadium. Their presence, though not intentionally there to intimidate and harass, represented the authority that so many young people were rebelling against. Inside the stadium was reportedly a great time. One minor incident was that a fan undressed, but was taken away by security. No such qualms would exist in Bethel, NY. Outside some gatecrashers unsuccessfully tried to get past the security guards. Keep in mind, that the view of some fans and musicians was that music should be free. Tying a price to listen made the event corporate, the antithesis of to the counter culture’s ideals. At a point the first day, a bottle was thrown and hit the helmet of an officer. The thrower was arrested without any additional incidents. The second day again found gatecrashers unsuccessfully attempting entry. This time additional police were called in and they used time tear-gas to disperse the crowd. Some of the gas wafted into the stadium where Chip Monck advised the crowd to cover and protect their faces. Promoter Barry Fey subsequently handed out free tickets to avoid any further confrontations. The free tickets were limited and the next day tear gas was again used to force gatecrashers away. The Iron Butterfly did play in Denver, but though scheduled to play at Woodstock, they’d be left at the airport waiting for a ride. As mentioned above, this event was the last performance of the Jimi Hendrix Experience. The next time Hendrix would play in public would be that famous muddy morning in Bethel, NY at the Woodstock Music and Art Fair. Drummer Mitch Mitchell would remain part of Hendrix’s larger ensemble there, but Noel Redding was no longer a member. Click below to hear a small slice of Jimi Hendrix’s intro at Denver. I was there! The most exciting time of my life! Me and my friends got our draft notices and we burned them at the park. Denver had everything, the best music in the world, camaraderie, beautiful stoned girls, Hell’s Angels. Of the group I was in after the concert, 2 went to Viet Nam , 1 died there, it was jsut like the Movie Hair. 2 other friends OD’d and died, I got lucky and failed my induction physical. I have tried to live for my friends that can’t, I think about Denver all the time. Thank you for sharing your story. Sorry for your sorrows, but happy you made it and can live for your friends. I got back from Vietnam Nam and was stationed at Fort Carson Colorado Springs. Drove to Denver for the concert. It was great to see Hendricks play the Star Spangle Banner. Great memories. My cousin Bobby scored tickets and he drove our little group of 4 to the stadium. We had seats about 1/3 of the way up and eventually gate crashers pushed down an area of fence and filled up remaining seats. I don’t remember much but the music blowing us all away. Yes, there was enough smoke in the air to get a second hand high, but we had never heard anything like Hendrix before and we’ve never heard anyone like Hendrix since. His performance was stunning. It extended the limits of the possible. The news reports say something about a riot, but we simply walked back to the car. Thanks for adding to the story. Personal experience is always worthwhile for history. Made our way there as teenages from El Paso, TX. Slept in a Volkswagen Bug, on the road by the parks. Saw a dude with hair to his ankles, believe he may have been a member of “Charlie’s Family.” The festival was unbelievable. The Mothers and Experience were eternally mesmerizing. Why it wasn’t videod is the mystery. For all the festivals of that year (I’ve found 42), it surprised me too that Woodstock Ventures was the only one to think of recording and filming the festival. I realize a festival is a huge undertaking no matter what and added media only makes things more complicated, but one of the main reasons that Woodstock became WOODSTOCK is that we can still watch and listen to much of the concert with great sound and film. Ah well.